Association of Biblical Counselors: ABC exists to encourage, equip, and empower people everywhere to live and counsel the Word, applying the Gospel to the whole experience of life. Biblical Counseling Coalition: The BCC exists to strengthen churches, para-church organizations, and educational institutions by promoting excellence and unity in biblical counseling as a means to accomplish compassionate outreach and effective discipleship. Christian Counseling & Educational Foundation: CCEF teaches people how to explore the wisdom and depth of the Bible and apply its grace-centered message to the problems of daily living. Simply put their mission is to: Restore Christ to Counseling and Counseling to the Church. RickThomas.Net: Helping people by providing practical tools and ongoing training for more effective living. 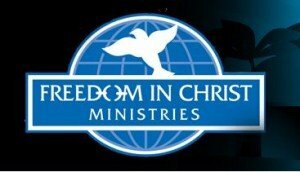 Freedom in Christ Ministries: The mission of FICM-USA is to resource and equip Christians in America to experience spiritual freedom and spread that freedom to others. New Life Spirit Recovery: To educate, equip, treat and deliver Christ-centered solution to struggling addicts and alcoholics and their family members. To take our message and testimony of freedom from addiction through Jesus Christ to the community, church and beyond.